We're the experts in wood flooring and can help you understand the differences in our grades and cuts of wood. Share with us the details of your space and the vision you have for your floors, and we'll take it from there to help you select the best options for your needs. Select wood is almost clear, but contains some natural characteristics such as knots and color variations. This is the most common choice for homeowners. Common: common wood (#1 and #2) has more natural characteristics such as knots and color variations than either clear or select grades, and often is chosen because of these natural features and the character they bring to a room. #1 Common has a variegated appearance, light and dark colors, knots, flags, and wormholes, whereas #2 Common is rustic in appearance and emphasizes all wood characteristics of the species. Plain sawn: plain sawn, or flat sawn, is the most common cut. The board contains more variation than the other two cuts because grain patterns resulting from the growth rings are more obvious. Quarter sawn: quarter sawing produces less board feet per log than plain sawing and is therefore more expensive. Quarter sawn wood twists and cups less and wears more evenly. Rift sawn: rift sawn is similar to quarter sawing, but the cut is made at a slightly different angle. Strip flooring: Strip flooring is linear flooring that is usually 2 1/4", 1 1/2", or 3 1/4" wide. It creates a linear effect in a room often promoting the illusion of a larger space. Plank flooring: Plank flooring is also linear, however, it is wider in width. Common widths of plank flooring are 3", 4", 5", and 6". Parquet flooring: Parquet flooring is a series of wood flooring pieces that create a geometric design. Once you choose your wood type for your flooring, you also have the options to choose between unfinished and prefinished flooring. Prefinished floors are less disruptive to install. Also, they are finished in a factory under ideal conditions, resulting in both a more durable and a furniture quality finish. Solid flooring: All wood flooring, regardless of width or length that is one piece of wood from top to bottom is considered solid flooring. Solid flooring gives you a great opportunity for customization. Your choice of species, stains, and finishes all contribute to the personalization of a solid floor. This is an excellent choice in most areas of a home on the ground level or above. Engineered flooring: This wood flooring product consists of layers of wood pressed together, with the grains running in different directions. Engineered flooring is perfect for those areas of the house where solid wood flooring may not be suitable, such as basements, kitchens, powder rooms, over radiant heat, and in utility rooms. Engineered flooring has come a long way since it was first introduced to the market. In fact, it's nearly impossible to tell the difference between a high quality engineered floor and a solid floor once installed. The difference in performance, however, makes engineered flooring the clear winner for at risk areas. Because the grains run in different directions, it is more dimensionally stable than solid wood. The wear layer thickness of the engineered floor you choose will be a deciding factor in both the price and the number of times the floor can be sanded in the future. Acrylic impregnated floors: Acrylic impregnation is a process where the natural sugars and saps are removed from the wood, and replaced by acrylics which are injected into the wood itself, creating a super-hard, extremely durable floor. This type of flooring is often used in commercial installations, like shopping malls and restaurants. However, they are right at home in busy households as well. The Janka hardness test was designed to rate the relative hardness of wood (on a scale of 0 to 4000). The test involves measuring the force required to embed a .444″ steel ball into wood to half its diameter. 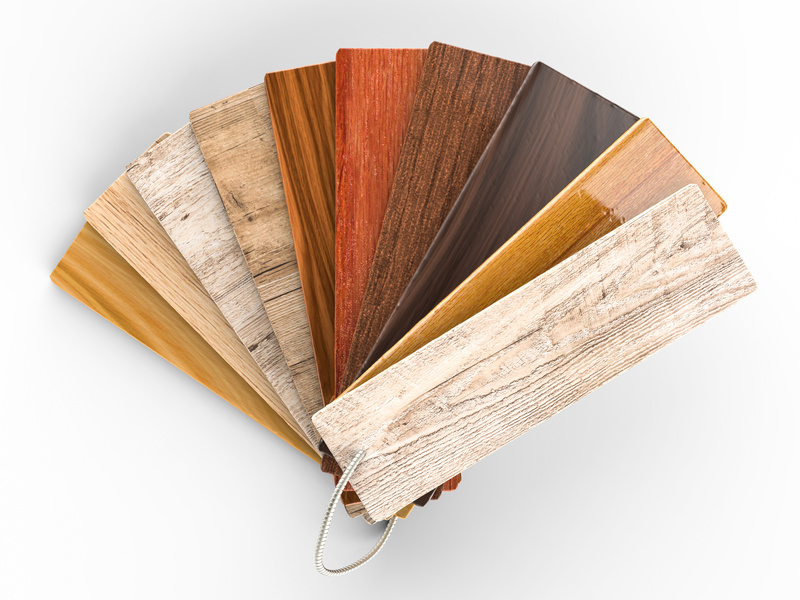 It is one of the best ways to determine the ability of a wood species to withstand denting and wear; and for that reason, one of the most common uses of the Janka hardness scale is to determine whether a species is suitable for use as flooring. Red Oak is the benchmark of the Janka scale. All other species are compared to it.